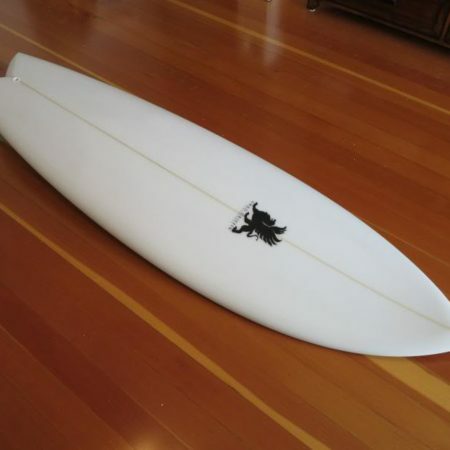 I created this in 2006 as an upgrade toward short board performance in the fish style board market with a narrower nose and wide point moved back to 1 1/2 “ forward of center. Added some nose rocker and kept the same fish width tail. The result is a board that paddles and enters better than standard fish noses and rockers. 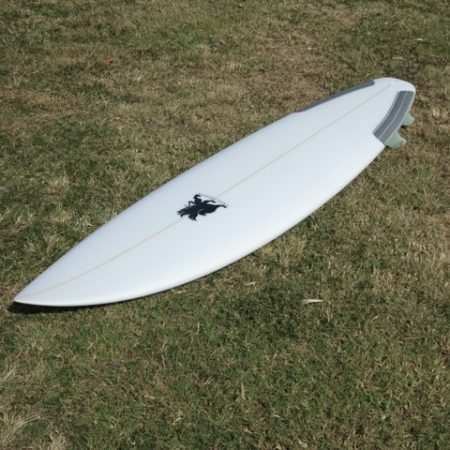 Available with my 4 Fin, 5 Fin and Keel fin hand foiled and designed fin setups . 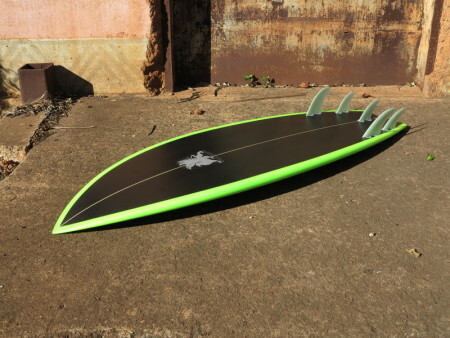 The Modern Fish 5 fin is a perfect blend of my past 45 years of board building and fin design. The Modfish starts off loose at the low end and increases drive at a rapid rate as the wave power increases, allowing the design to perform across a wide range of wave sizes and conditions. 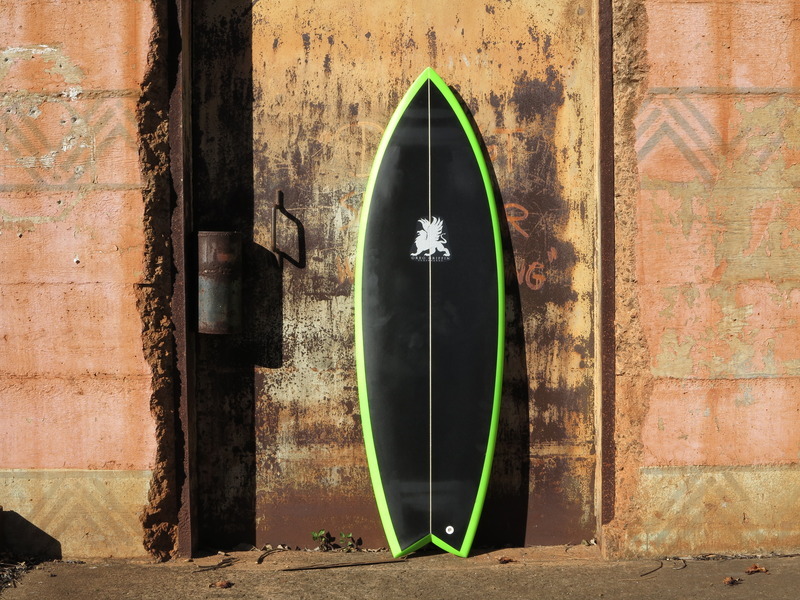 A Quiver killer. The flat bottom combined with a foiled tucked edge from nose to tail creates the maximum planing surface at all times – one pump and your gone! 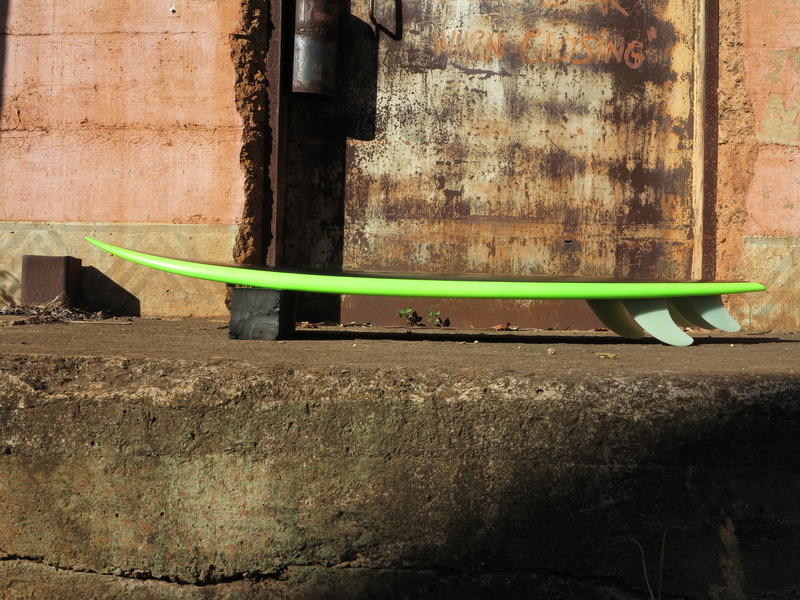 Just one ride and you will understand why it has five fins!